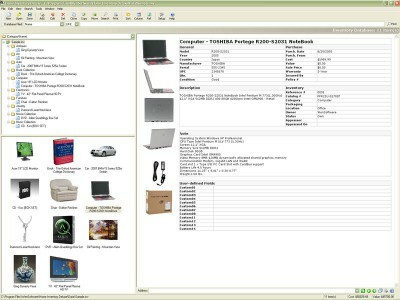 Home Inventory Deluxe 1.1.071 is cataloging software developed by WenSoftware. Home Inventory Deluxe is a home inventory tool designed to help you keep track of your valuables, household items or collectibles. 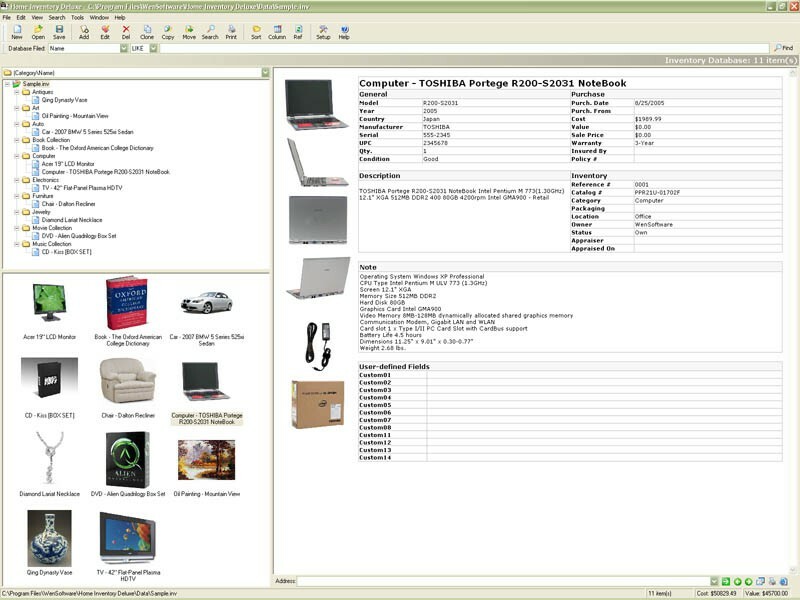 It lets you create a catalog of your possessions with a MS Access database. You can record many useful information such as purchase, insurance, warranty, appraisal and status. It provides an user-friendly explorer-style interface that allows you to group items by categories, locations and more. This home & hobby software is shareware, which means you can download and use Home Inventory Deluxe 1.1.071 for free during the trial period (usually for 30 days). At the expiration of the period you will have to buy the cataloging product for $35.00. Home Inventory Deluxe 1.1.071 is available at regnow and WenSoftware website. Home Inventory Deluxe 1.1.071 supports different languages (including English). It works with Windows 98/XP/Vista. We have tested Home Inventory Deluxe 1.1.071 for spyware and adware modules. The software is absolutely safe to install. We has completely tested cataloging software Home Inventory Deluxe 1.1.071 many times, written and published the interesting article and uploaded installation file (5649K) to our fast server. Downloading Home Inventory Deluxe 1.1.071 will take minute if you use fast ADSL connection. ezyInventory asset recording software to catalogue your possessions. Create a detailed inventory of your household possessions, including photos.